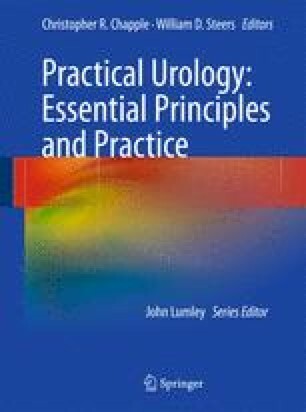 Cystourethroscopic examination of the bladder and urethra is the gold standard for the diagnosis of lower urinary tract disorders. It offers direct visualization of the bladder urothelium and provides initial access to the ureteral orifices for assessment and treatment of the upper tracts. It is a cornerstone in the workup for gross and microscopic hematuria and useful in the investigation of lower urinary tract symptoms stemming from anatomic obstruction or neurologic, inflammatory, neoplastic, or congenital disorders. Beyond this, instruments passed through the cystoscope or specially designed resectoscopes allow minimally invasive treatment of identified pathology.